You must be a member of the Panama City Photography Group to attend this activity. Would you like to join this group? 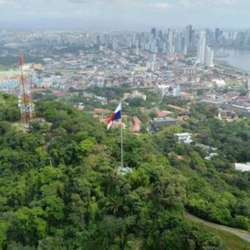 Cerro Ancon is the highest point of Panamá City and it has a amazing view of the city. if you have not visited this place this is the moment to capture the best pictures. We need to walk approx. Protected content from the meeting point, so it is recommended to bring hydration.